Posted in General and tagged akram khan, Arts, British Council, Connections through Culture, dance, gnosis, inpulse, Performing Arts on September 17, 2012 by aparnanagesh. A dark stage, complete quiet, and the music begins from somewhere deep within our hearts. The soulful music is slowly accompanied by the sound of feet adorned with the traditional kathak anklets. Joyful unrestrained dancing was completed by joyful unrestrained music played live. This was a performance where each artiste knew their part, lived their part and played it to perfection. Getting the audience to feel every nuance, every flick of the hand, every turn of the head, every smooth spin. Our bodies were doing the dance, our hands were playing the cello, our hearts were beating in time with the percussion and our voices were singing the songs. Akram Khan’s Gnosis was a landmark show and what better way to begin Impulse. Gnosis is performed for the last time today in Delhi and people are clamouring for seats. Every move, every expression and every bit of the music and dancing is branded onto my brain and has left all of us who watched the show speechless. 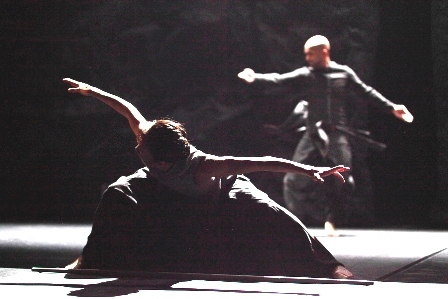 Akram Khan has recieved a standing ovation in every city and rightfully so.